If future generations were to live and work on the moon or on a distant asteroid, they would probably want a broadband connection to communicate with home bases back on Earth. They may even want to watch their favorite Earth-based TV show. That may now be possible thanks to a team of researchers from the Massachusetts Institute of Technology's (MIT) Lincoln Laboratory who, working with NASA last fall, demonstrated for the first time that a data communication technology exists that can provide space dwellers with the connectivity we all enjoy here on Earth, enabling large data transfers and even high-definition video streaming. At CLEO: 2014, being held June 8-13 in San Jose, California, USA, the team will present new details and the first comprehensive overview of the on-orbit performance of their record-shattering laser-based communication uplink between the moon and Earth, which beat the previous record transmission speed last fall by a factor of 4,800. Earlier reports have stated what the team accomplished, but have not provided the details of the implementation. The team made history last year when their Lunar Laser Communication Demonstration (LLCD) transmitted data over the 384,633 kilometers between the moon and Earth at a download rate of 622 megabits per second, faster than any radio frequency (RF) system. They also transmitted data from Earth to the moon at 19.44 megabits per second, a factor of 4,800 times faster than the best RF uplink ever used. "Communicating at high data rates from Earth to the moon with laser beams is challenging because of the 400,000-kilometer distance spreading out the light beam," Stevens says. "It's doubly difficult going through the atmosphere, because turbulence can bend light -- causing rapid fading or dropouts of the signal at the receiver." From there, the signal in the fiber is amplified about 30,000 times. A photodetector converts the pulses of light into electrical pulses that are in turn converted into data bit patterns that carry the transmitted message. Of the 40-watt signals sent by the transmitter, less than a billionth of a watt is received at the satellite -- but that's still about 10 times the signal necessary to achieve error-free communication, Stevens says. Their CLEO: 2014 presentation will also describe how the large margins in received signal level can allow the system to operate through partly transparent thin clouds in Earth's atmosphere, which the team views as a big bonus. 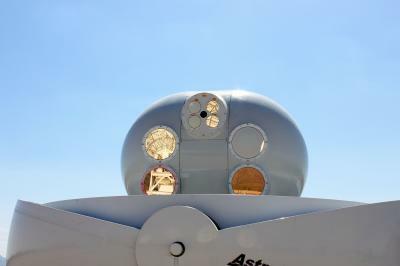 While the LLCD design is directly relevant for near-Earth missions and those out to Lagrange points -- areas where the forces between rotating celestial bodies are balanced, making them a popular destination for satellites -- the team predicts that it's also extendable to deep-space missions to Mars and the outer planets. 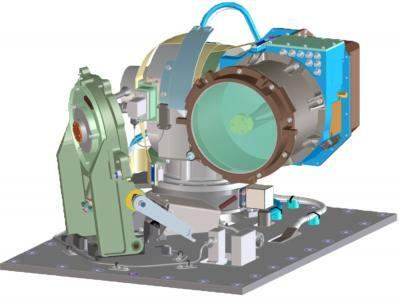 Presentation SM4J.1, titled "Overview and On-orbit Performance of the Lunar Laser Communication Demonstration Uplink," will take place Monday, June 9.